“If it wasn’t for Legal Aid,” says Petworth resident Cynthia Spencer, “I would be homeless.” When Ms. Spencer came to Legal Aid, things looked bleak. She was out of a job, living in terrible conditions in her apartment, and faced with two suits for eviction, one alleging nonpayment of rent, the other with the landlord claiming she wanted to move into Ms. Spencer’s apartment – which, if true, would be a legitimate basis for eviction. But Ms. Spencer was doubtful – she had seen neighbors evicted improperly in the past. A Legal Aid housing attorney represented her in both cases, eventually demonstrating that the landlord did not intend to live in Ms. Spencer’s apartment after all, and that the rent increases that caused her to fall behind on her payments were illegal. A public benefits attorney then helped Ms. Spencer secure critical health insurance and disability benefits. 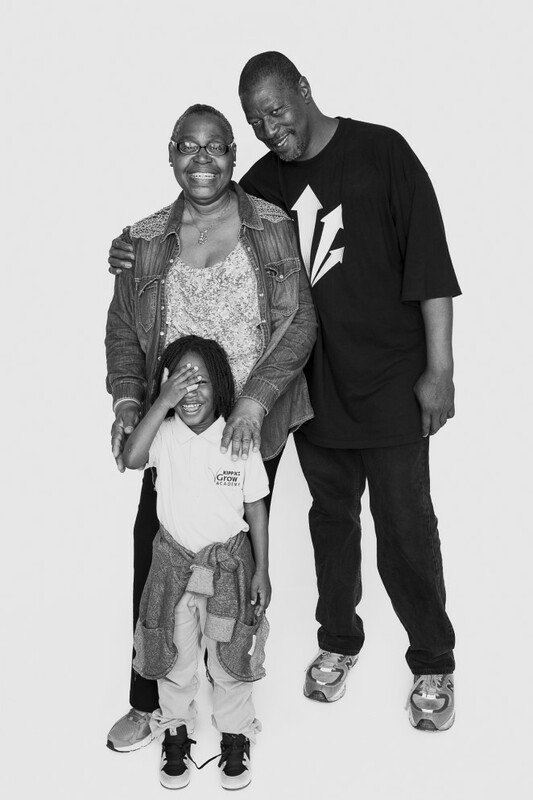 Threatened with eviction when she met us, Ms. Spencer (pictured with her partner and grandson) now lives in a safe home, works part-time, and receives social security and medical benefits to which she is entitled under the law.